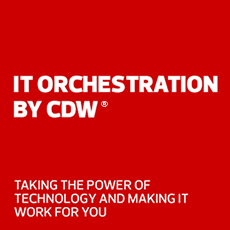 Let CDW evaluate your infrastructure and provide you with a people-centric solution from Citrix. Citrix measures the value of technology by how it benefits people, their needs and their goals. This vision inspires Citrix to build mobile workspace solutions that give users the ability to seamlessly integrate the apps, files and services they need on any device, anywhere. Get the freedom to work from anywhere while cutting IT costs. Securely deliver Windows, Linux, web and SaaS plus full virtual desktops to any device, from any cloud. Hear from professional IT admins about how Citrix has simplified the delivery and management of Windows applications and desktops. Address IT challenges with flexibility, simplicity and efficiency. XenApp offers cost-effective, secure delivery of Windows applications and desktops to any device. XenDesktop brings the power of XenApp, integrated with leading VDI solutions, to your mobile workforce. Explore the features and benefits of Citrix Hypervisor, a server and virtualization platform for optimized app and desktop performance. Deliver and access apps in hybrid and multicloud environments by addressing these new needs. Get scalable network infrastructure that enables high availability, performance and security of your data center, branch network and cloud and mobile services. See how Citrix provides a direct yet secure and reliable way to route enterprise traffic over the Internet to cloud and SaaS apps without costly backhauling. See how Citrix SD-WAN is redefining the ADC to manage application delivery in hybrid and multicloud environments. Increase productivity and security. Get mobile device management, mobile application management, mobile content management, secure network gateway and enterprise-grade mobile apps, all in one comprehensive solution. Hear how Citrix has taken integration with Intune to the next level with secure apps that work seamlessly with Office 365. Citrix Endpoint Management is a unified endpoint-management solution that allows you to securely manage mobile devices, mobile applications and productivity apps. Increase employee productivity and business mobility without compromising security in a mobile-friendly solution from Citrix. Citrix's comprehensive security approach delivers secure access while addressing privacy, compliance and risk management mandates. See how Citrix provides faster uploads, downloads and connectivity for Office 365 networks.